We know. You’re probably thinking that the best way to ensure you end up with amazing wedding photos is to find the right photographers, the ones that best fit your and your partner’s personalities, your wedding’s theme and/or style, etc. However, make no mistake, while you simply cannot get the photo album you’re dreaming of without experienced photographers whose approach and style suits you and your partner, there are some things you and your partner can do to help out the process as well. 1. Keep it fairly quiet on the eve of your big day. This first one is actually more of a wedding eve tip. While many newlyweds-to-be like to take advantage of their respective last nights as free folk, you need to be mindful of the fact that going a little too crazy the night before your wedding could have dramatic effects on your wedding photos. You don’t want to appear tired nor end up a little irritable on such a special day. Now, of course, if you want to have a drink or two to calm your nerves, go for it, just try not to drink excessively on the night before your wedding day. The same goes for the big day itself too. No one’s saying you can’t drink on your wedding day, just that you don’t want to appear to have had a bit too much in the photos meant to immortalize the special occasion. Another way to ensure your wedding photos look as good as they can is to prepare an emergency kit for any last-minute cosmetic changes. After all, who knows what could possibly change or go wrong in terms of your appearance? So, prepare a kit with all the tools necessary to remedy any possible attire or appearance issue. For more on the kinds of items you may want to include in such a kit, check out this post, How to Prepare the Perfect Emergency Kit For Your Wedding Day. 3. Give your face a rest occasionally. Whether it’s a birthday party, a graduation, etc., we all know that feeling when we’ve been smiling for pictures for hours and hours on end and suddenly your face starts to tighten up. Well, when it comes to your wedding day, you’ll likely never have to smile more for cameras in your entire life, so try to give your face a nap every now and then. When your face starts to stiffen up or your smile starts to feel awkward and forced, take a few moments to close your eyes and relax the muscles in your face to reset before the next round of photos. 4. Don’t get bent out of shape over the small stuff. We’ve been in wedding photography in NY and NJ for a long time and trust us, no matter how much time you give to the wedding planning process nor how carefully you prepare for every possible scenario, things happen. They always do. So, if the flowers aren’t perfect or you find out at the last minute that someone can’t make it, don’t stress yourself out about it. Try to keep your composure and stay relaxed, because the more relaxed and comfortable you are on your wedding day, the better you’ll look in your wedding photos. 5. Keep your wedding party in the loop and happy. It’s not just your mood you need to worry about infecting your wedding photos. Your wedding party will also be a big part of your photo album, so you need to keep them happy as well. One way to do that is to keep them informed of your photography plans for the big day leading up to it so that they have a chance to prepare. From there, do what you can to keep their spirits up, whether it means involving them more in the planning or perhaps the opposite, planning for some games to break up the monotony, etc. The point is, a happy wedding party = happy wedding photos. Like mentioned above, it’s important not to sweat the small stuff as your stress and disappointment will pour into your wedding photos, but there’s more to it than that. Not only should you be able to let some things slide in the interest of keeping an even keel, you should also try to embrace spontaneous, unexpected moments, when you can, rather than treating them like a problem. Whether it’s a weather issue, a scheduling problem, etc., just try to look at it as another way to make your photos more original. That way, in the end, you’ll end up with an album unlike any other. The bottom line: Do what you can on your end. 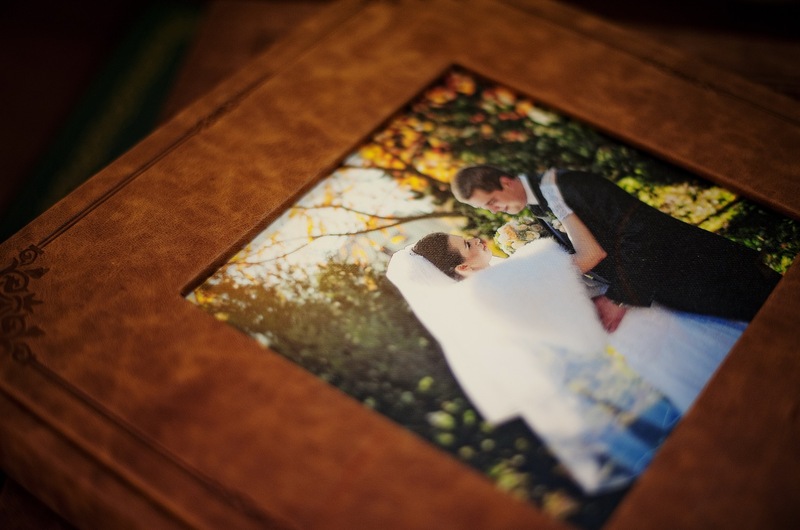 As you can see, while the experience, skills, and capabilities of your wedding photographers are all of paramount importance when it comes to your wedding photography, there are also some things you can do on your end to ensure your wedding photo album is one of a kind. So, remember to avoid drinking too much on the eve of your wedding and on the big day itself, prepare a wedding day emergency kit, keep your face relaxed, try not to sweat the small stuff, keep your wedding party informed and happy, and try to embrace spontaneity rather than looking at it as a hindrance. Do all that and you’ll end up with a wedding album full of pictures of lively, happy people and unexpectedly emotional or amusing moments that serve to tell the unique story of you and your partner’s wedding day. About Us: Live Picture Studios is composed of a team of experienced NY / NJ wedding photographers, videographers, and editors. We’ve been making memories magical in the NY, NJ, PA, and CT area with our dazzling wedding photos and videos for years. Check out our photo gallery and video gallery for some examples.